The Nutrition and Physical Activity Program had 2 abstract posters accepted at this year's SNAP-Ed LIA Forum in Sacramento, CA. Fatinah Darwish, MPH, RD presented her poster on leveraging social media to promote food programs. Xochitl Valvidia, MS, RD, Tania Marquez, MPH, and Victoria Quintero presented their poster on conducting key informant interviews with peer educators in Los Angeles County. Nutrition Program Wins Two Awards! 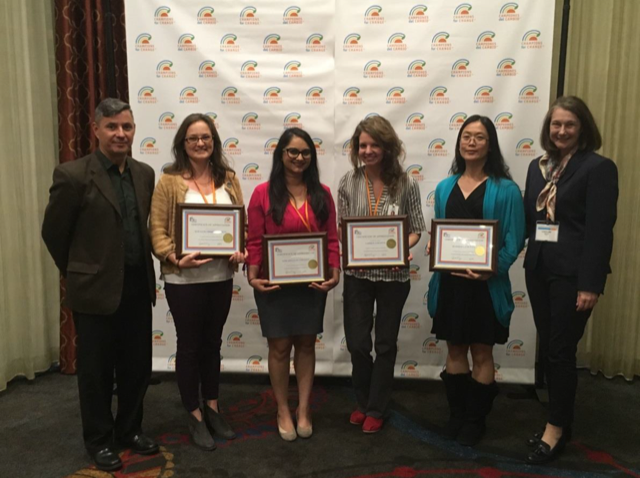 The Nutrition and Physical Activity Program was recognized by the California Department of Public Health, Nutrition Education and Obesity Prevention Branch for Exceptional Medial and Communications and Excellence in Programs. On August 29, 2018, over 350 organizations across California celebrated Healthy Snack Day. Healthy snacking can be easy and affordable; and the right snacks can help adults and children live healthier. Watch NBC coverage of Program Director, Dipa Shah-Patel, MPH, RD, discuss Healthy Snack Day. Interested in holding future Healthy Snack Day events? 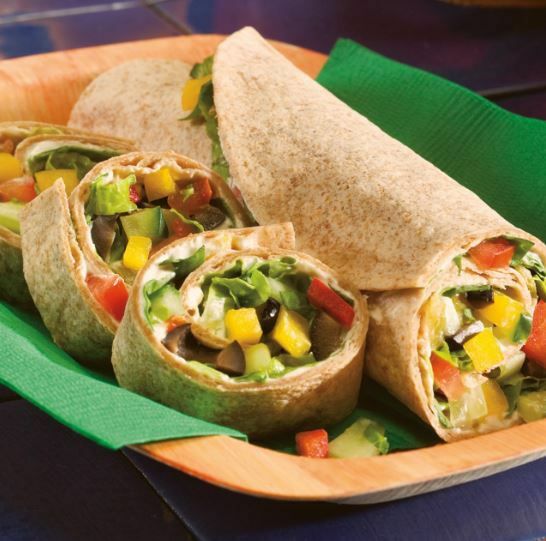 Check out and download these Healthy Snack Day resources. We participated in Healthy Snack Day by conducting healthy food demonstrations at Northgate Market and distributed free Champion for Change recipe books and resources. 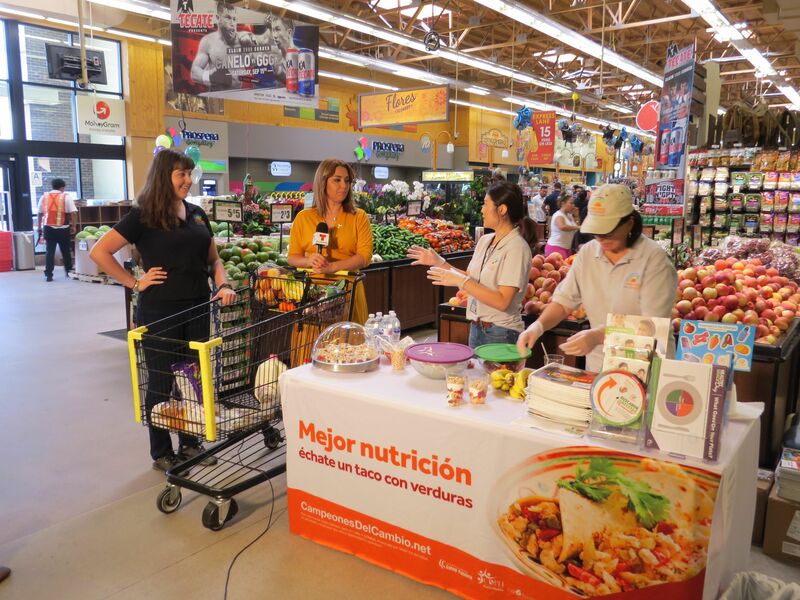 Our Program Manager, Xochitl Valdivia, MS, RD was interviewed by Telemundo 52 on healthy and unhealthy snack food items.